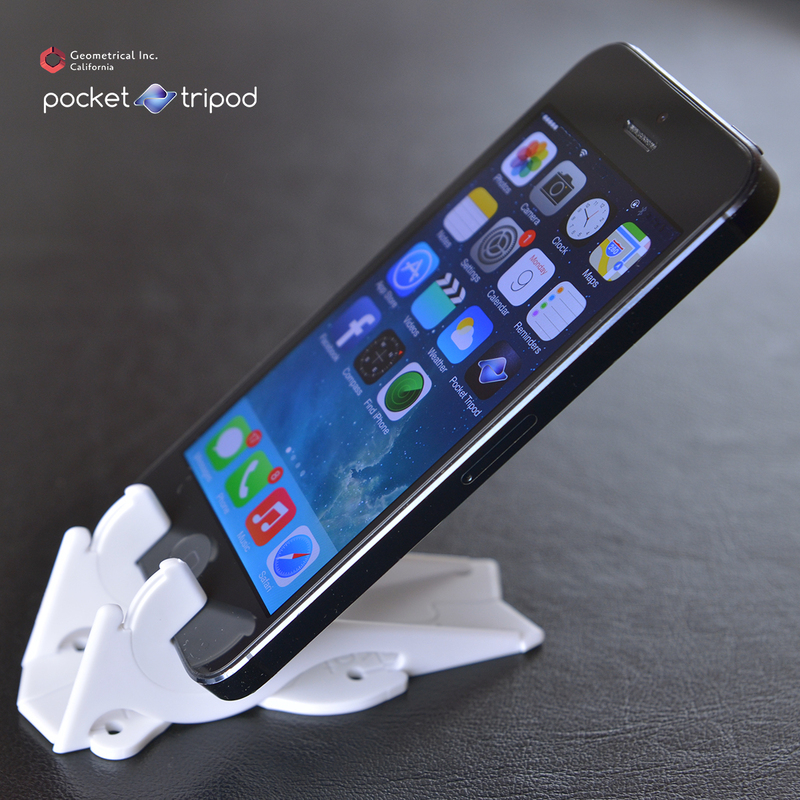 The Pocket Tripod by Geometrical Inc. is the most original iPhone stand on the market. 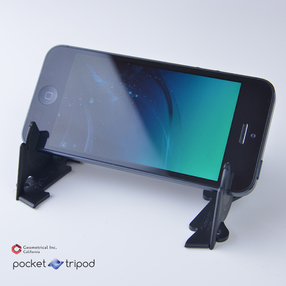 It's the only iPhone stand that let's you aim your iPhone to any imaginable angle, in both landscape and portrait. Its patent-pending design lets you adjust the angle of your device like you would with a full-size photography tripod, with complete control and fine adjustments. 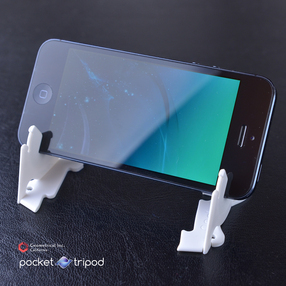 Unlike most portable iPhone stands, the Pocket Tripod doesn't use pre-set notches or tabs to lean your device on. 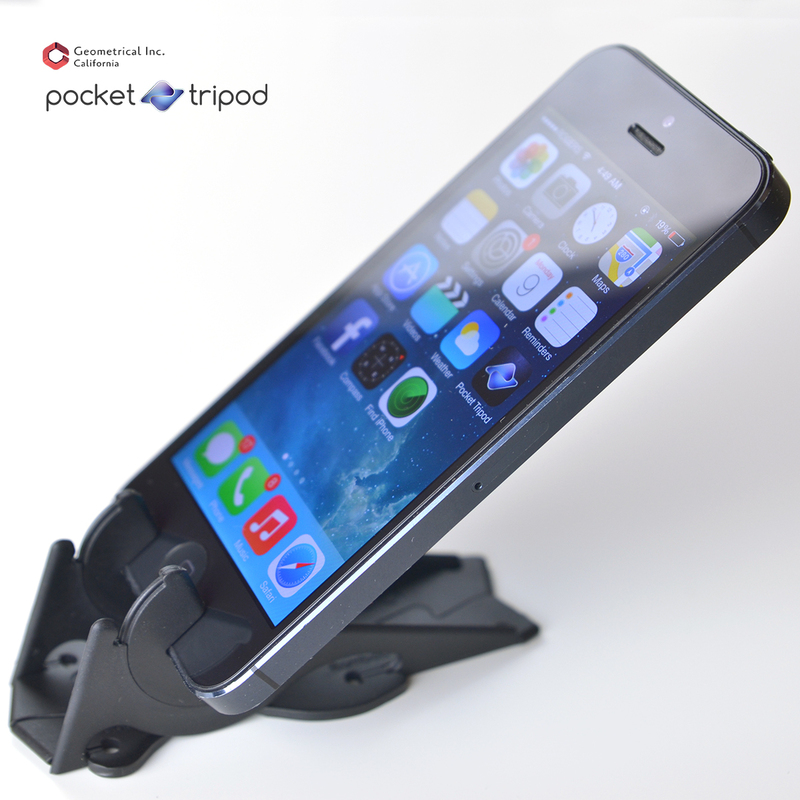 Instead, its unique design allows you to quickly hold your iPhone in any orientation you like, using continuous and smooth angle adjustments. The best part is that once you finish using the Pocket Tripod, it transforms to the shape of a credit card, and hides away until next time you need it, ready to go at a moment's notice. Being as slim as two credit cards stacked on top, the Pocket Tripod fits in any wallet or purse. 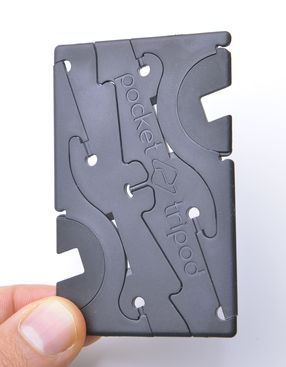 Matte Black Pocket Tripod - Fits in a wallet & Adjusts to any angle. 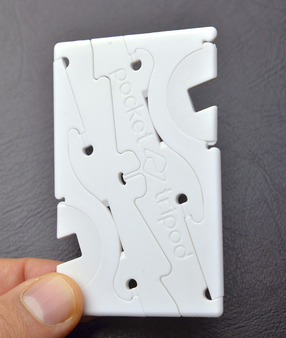 Matte White Pocket Tripod - Fits in a wallet & Adjusts to any angle.